To take good care of your vehicle, you have to get routine brake service. With the right brake service, you can help make your brakes last longer. Our technician will check your brakes for uneven wear, and make sure that your brake fluid is topped off. Don't get stuck with a brake problem while on the road and avoid more significant repair costs if your brakes get worn down to the rotors. When you need brake service for your vehicle, it's time to check out the service specials we offer at BMW of Nashville. 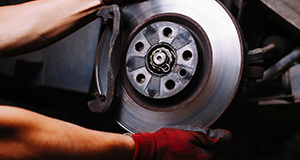 At BMW of Nashville, each technician is a certified professional who performs brake service on vehicles all the time. You don't have to worry about getting brake service on your particular make and model of the car because our technicians have worked with all kinds of vehicles to perform brake service. When you want to get excellent brake service from a service center that provides high-quality customer service to everyone, it's time to contact BMW of Nashville and see how we can help. Our technicians have the experience you need to keep you safe on the road. At BMW of Nashville, we are proud to only use original equipment manufacturer (OEM) parts for all brake service and repairs. We believe strongly in keeping all of our customers safe with the best repairs possible. OEM parts are used because of their superior quality. Aftermarket parts are often used by repair shops to cut corners, and we want to provide our drivers with quality repairs so they that don't get stuck without a working vehicle. While a cheaper repair can be accomplished using aftermarket parts, they are not as durable as OEM parts. Also, all repairs made using OEM are guaranteed by the part manufacturer against defects. If the part malfunctions, the repair is covered under warranty.